Fruit is the natural product of a living thing. The same is true of people as is true of plants. The fruit of a person’s life is proof of the life within. Jesus said, “A good tree bears good fruit, and a bad tree bears bad fruit.” Then speaking of people, He said, “You shall know them by their fruits.” Another way to say it is, the way you live proves what lives in you. 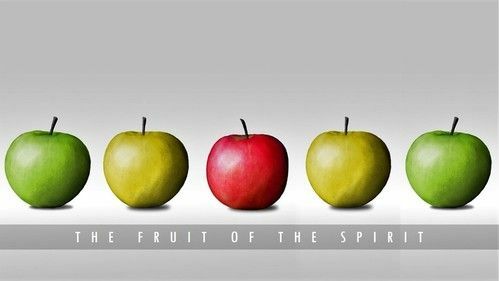 The fruit of the Spirit is proof that Christ lives in us. The character traits of the Spirit include love, joy, peace, patience, kindness, goodness, faithfulness, gentleness, and self-control. But it’s not about trying to be a good person or a nice person. The fruit of the Spirit is proof that Christ lives in us. God’s desire is that we would be “conformed to the image of His Son.” He is constantly at work in us; molding us to look like Jesus, to love like Jesus, and to live like Jesus in every way. What we see in Jesus is what others should see in us. The presence or absence of the fruit of the Spirit is obvious, especially in the context of relationships. How we treat each other, how we tolerate each other, how we value and love each other prove the character within. Again, the way you live proves what lives in you. Therefore, when you look in the mirror, do you see the fruit of the Spirit? When others look at you, do they see the fruit of the Spirit? Do they see the life of Christ in you?